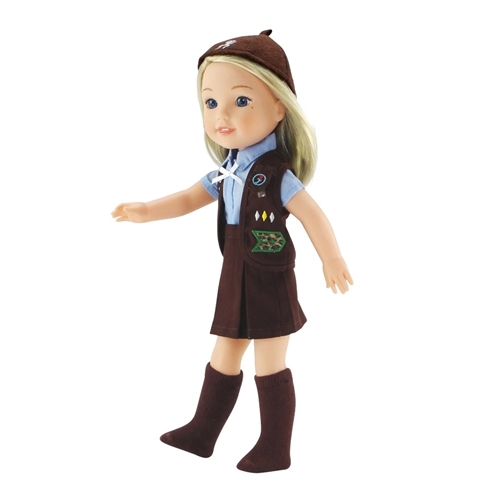 Authentic looking Brownie Girl Scout-inspired 14" doll outfit! 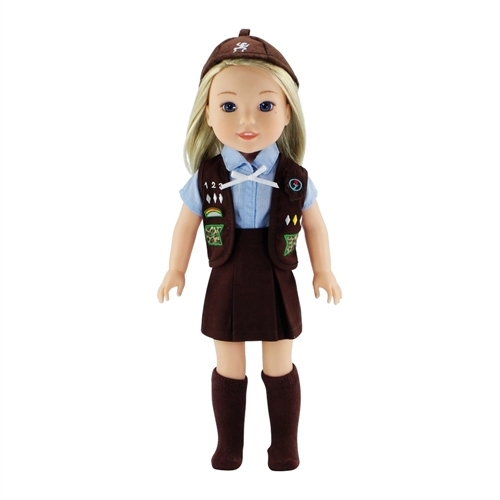 Take your doll with you to your next scouting event wearing this super cool uniform, including brown pleated skirt and matching vest with 7 colorful embroidered patches and removable insignia tab! But that's not all! This amazing outfit includes a perfectly fitting short sleeved blue shirt, with faux buttons and neckline bow, a brown matching beanie style hat with embroidery, and matching brown socks. 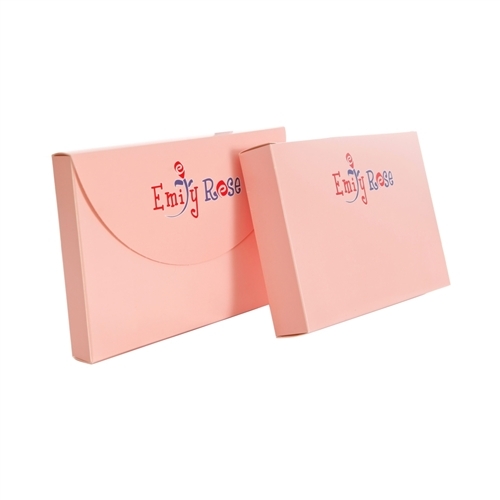 This awesome doll outfit comes packaged in our special pink Emily Rose gift box and is a special addition to your 14 inch doll's wardrobe! Outfit includes a super detailed 14" doll Brownie Girl Scout inspired vest with 7 colorful embroidered patches and a removable insignia tag! This awesome Scout uniform also includes a matching brown pleated skirt and socks, matching beanie style hat with embroidery, and a short sleeve shirt with faux buttons and whit bow detail.